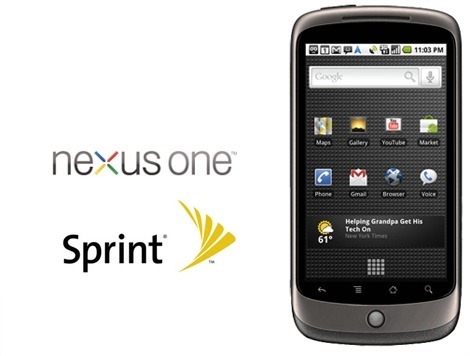 Seems Sprint is doing the right thing and has decided not to offer Google’s Nexus One. There are a lot of good reasons behind Sprint’s decision not offer the Nexus One, the main one being the HTC EVO 4G. Most of us had a feeling that the decision was coming anyways, once Sprint introduced the EVO 4G to the world. This is second carrier that has decided to drop the Nexus One from their roster. Last month Verizon announced that they would not begin to offer a CDMA based Nexus One, they instead told potential customer the new HTC Incredible would fill the Nexus One’s shoes. Now Sprint looks like they are going to make the same recommendation to their customers with EVO 4G. Both carriers made the decision before they made the Nexus One available for purchase. There is no way to know if Sprint was going to offer the N1 at a subsidized price, or if it was just going to support the Sprint network’s CDMA band, kind of like what AT&T has done. Now in both cases the Incredible and the HTC EVO 4G are almost identical to the Nexus One, in regards to hardware and internal specs. All three are powered by a 1GHz Snapdragon processor, they all have a large amount of RAM and internal storage, large AMOLED displays, and lastly they all run a version of Android 2.1. And actually most people think that the EVO 4G and the Droid Incredible might be a better overall phone. So any customers that were looking forward to purchasing a Nexus One, shouldn’t worry. Both devices will make excellent replacements. Now that Sprint has dropped the N1, it looks like their won’t be any CDMA version anytime soon, and probably never will be one either. I don’t know how bad this decision will impact future sales of the Nexus One, some experts think that the sale of the N1 is starting to level off, they figure most people that were interested in the N1 would already made the purchase. And with a bunch of newer, feature packed Android superphones, being introduced all the time, the Nexus One is slowly becoming outdated. So if you think about, both Sprint and Verizon made the right choice. They can both now give full attention to their own flagship handsets. Previous Entry: Android 2.2 Spotted With Flash 10.1 on a Nexus One! Next Entry: T-Mobile myTouch 3G Getting Android 2.1, Really!